Steve Moore teaches on My Putting Confidence and Hope in God from Psalm 17. 17 Hear a just cause, O Lord; attend to my cry! Give ear to my prayer from lips free of deceit! 2 From your presence let my vindication come! Let your eyes behold the right! 3 You have tried my heart, you have visited me by night, you have tested me, and you will find nothing; I have purposed that my mouth will not transgress. 4 With regard to the works of man, by the word of your lips I have avoided the ways of the violent. 5 My steps have held fast to your paths; my feet have not slipped. 6 I call upon you, for you will answer me, O God; incline your ear to me; hear my words. 7 Wondrously show your steadfast love, O Savior of those who seek refuge from their adversaries at your right hand. 8 Keep me as the apple of your eye; hide me in the shadow of your wings, 9 from the wicked who do me violence, my deadly enemies who surround me. 10 They close their hearts to pity; with their mouths they speak arrogantly. 11 They have now surrounded our steps; they set their eyes to cast us to the ground. 12 He is like a lion eager to tear, as a young lion lurking in ambush. 13 Arise, O Lord! Confront him, subdue him! Deliver my soul from the wicked by your sword, 14 from men by your hand, O Lord, from men of the world whose portion is in this life. You fill their womb with treasure; they are satisfied with children, and they leave their abundance to their infants. 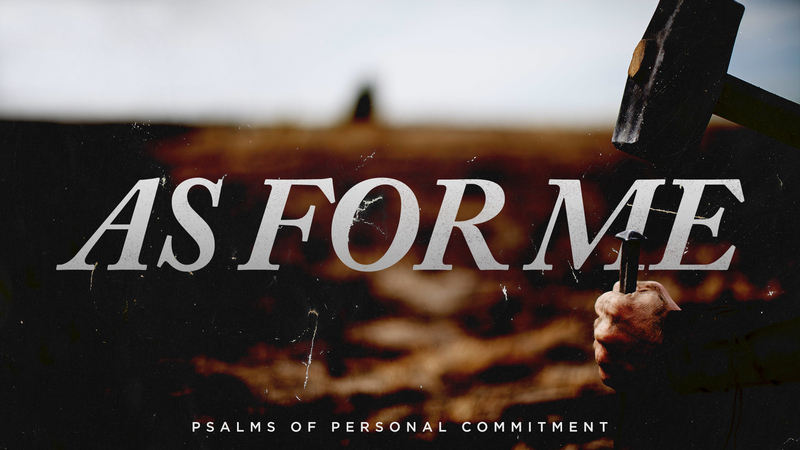 Steve Moore brings us our morning message today in a sermon titled, “My Putting Confidence and Hope in God.” Steve is teaching from Psalm 17.